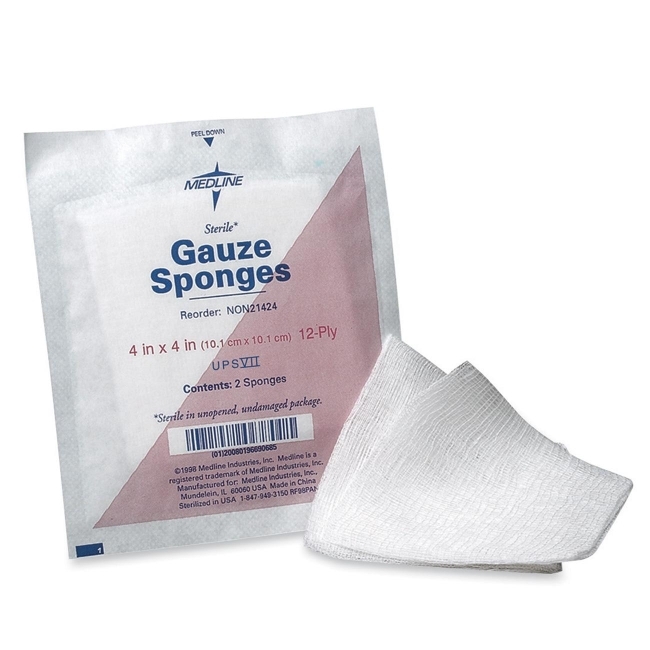 Medline NON21424 Sterile Woven Gauze Sponges - 4" x 4"
Woven gauze sponges are ideal for wound dressings, wound packing and general wound care. 12-ply, sterile sponges are made of 100 percent cotton. Clean, debris-free packing has folded edges to prevent unraveling. Sponges are also packed in a coated paper envelope to reduce fiber debris. Easy-open envelope is carefully sealed to prevent the intrusion of dust and contaminants.